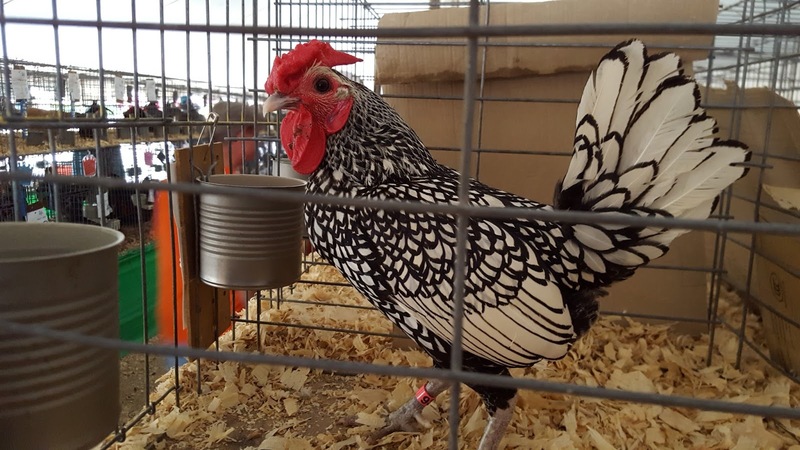 I went to the Waukesha County Fair yesterday with my two kids, Sarah and Ben. 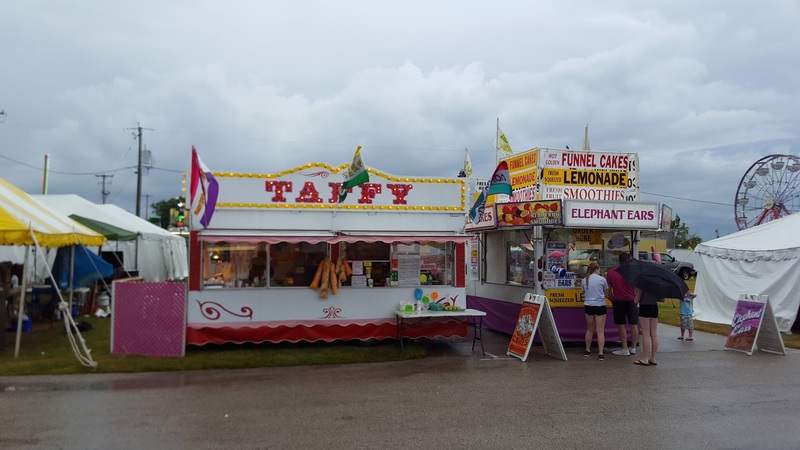 I've written about the fair before and if you know me, you know I'm a big fan of fairs of all size. I love everything from the small Parish Festivals to County Fairs all the way up to the big boys - the State Fairs. I love the food, the noise, the smells and the cheesiness of it all. It brings out the strangest cross-section of humanity which makes people watching one of the better parts of the whole thing. 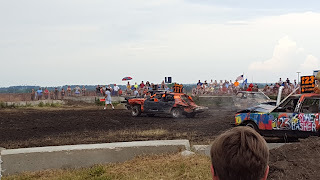 One of the reasons we went to yesterday's fair on short notice was to see the Demolition Derby. These events are twenty minutes of hillbilly crazy. There's something viscerally satisfying about watching cars smash into each other as they spin their wheels in the mud. It's probably some sort of redneck gene in me that attracts me to it, but I can't seem to look away. My daughter had never seen the spectacle and when she sent a video to a friend, he texted back and said "That's some hillbilly s#*% right there." The mini donuts were a story unto themselves. All I wanted was a $5 bag of donuts to share with my kids. Well the guy "upsized" me to a $10 bucket of donuts for no extra charge. I let him be nice, but I also knew we would likely never eat 1/2 of them. And we didn't. The clerk also said if we brought the bucket back next year, we would get a refill for only $5.00. There's a $5.00 savings I don't want to have to remember a year from now. "Hey hon, where's the County Fair Mini Donut bucket from last year?" Anyway the rain drove us into the animal barns, which is probably as interesting as carnies barking at you in the midway anyway. We saw some beautiful animals, including some insanely curious pigs that reminded me how far removed we city-folk are from farming and what we eat. Farm creatures bring out the kid in me. Those that grew up around them are pretty much, "Yep, that's a cow." The rain also drove us through the exhibit halls where we saw everything from the Ginzu Knife demonstration to Window Replacement firms. Heck, we could even sign up for the Army or dispute Darwinian Evolution if we wanted. Nope. Just killing time thank you. Which is what the fair is all about really. It's an alternate universe for me. The freakshow is in the Midway, but when you look at it closely, the freakshow is everywhere.